The future of the Mavericks Surf Contest seems to have a much smoother ride ahead. Today a bankruptcy court approved a proposed sale of the contest rights from current organizer Cartel Management company to the WSL, World Surfing League for $525,000. The sale offer generated a bitter fight with other companies drawn into the wake of Cartel's bankruptcy that doomed this season's event. Segler Holdings of Texas objected to the sale because It is owed about $820,000 from Cartel after winning a court battle two years ago over a botched promotional deal of a tanning product. Segler's attorney Stewart Schmella told NBC Bay Area it appreciated the opportunity to express its objections and looked forward to seeing how Cartel would pay the money it owes. A former contest partner, Titans of Mavericks, has also filed a lawsuit against Cartel and accused the company of 'deceiving' the San Mateo County Harbor District into putting only Cartel's name on the five year permit. Harbor Commissioner Sabrina Brennan acknowledged more legal hurdles lie ahead but considered the possibility of WSL running the contest a huge step forward. She pointed out the WSL is led by a woman CEO and, unlike Mavericks, allows female competitors. 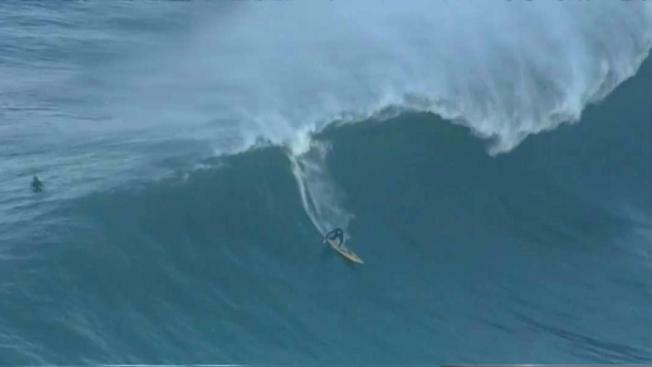 "I'm relieved the Cartel bankruptcy is behind us," Brennan said, "it will be exhilarating and satisfying to see women athletes compete for the first time in the Mavericks big wave competition."